Presumably the system uses electricity produced during braking, i.e. "energy scavenging", rather than being powered by the alternator? There is no way to increase your fuel efficiency if the latter is the case. The energy being used by the hydrogen generation process isn't used to directly boost the efficiency of the engine, but rather to unlock the potential energy stored inside the water. 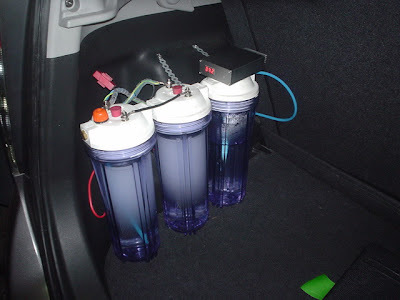 The hydrogen/oxygen burning in the engine is what provides the boost of energy. What is really happening here is that in almost all cases, vehicle alternators are producing far more current than the vehicle uses during normal use. By using the otherwise wasted energy to convert the water to hydroxyl, we have the end benefit of then being able to burn that byproduct in the engine. The other advantage of adding additional hydrogen and oxygen to the combustion process is that the gasoline then burns more efficiently. 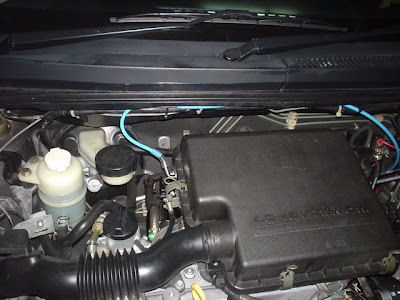 The engine sensors also not e that there is more fuel present than it needs to run, and will trim down the fuel injected in to the engine to compensate. It doesn't make any sense from a thermodynamics point of view, but it does work.